Washington Administrative Law Practice Manual is the authoritative guide for Washington attorneys practicing before administrative agencies. 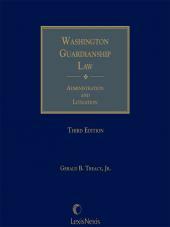 This comprehensive manual provides in-depth coverage of all aspects of administrative law, including the Appearance of Fairness Doctrine, Public Disclosure Act, Public Records, Open Public Meetings, Ethical Issues for the Administrative Lawyer, and Administrative Investigations. 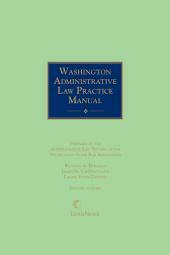 Washington Administrative Law Practice Manual is the authoritative guide for Washington attorneys practicing before administrative agencies. 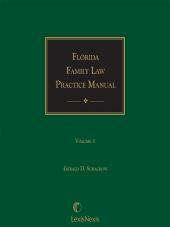 This comprehensive manual provides in-depth coverage of all aspects of administrative law, including the Appearance of Fairness Doctrine, Public Disclosure Act, Public Records, Open Public Meetings, Ethical Issues for the Administrative Lawyer, and Administrative Investigations. 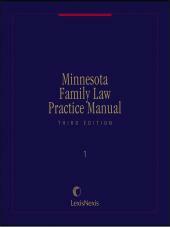 Also included is a state administrative directory that lists names, addresses, and telephone numbers of key persons in several state agencies.